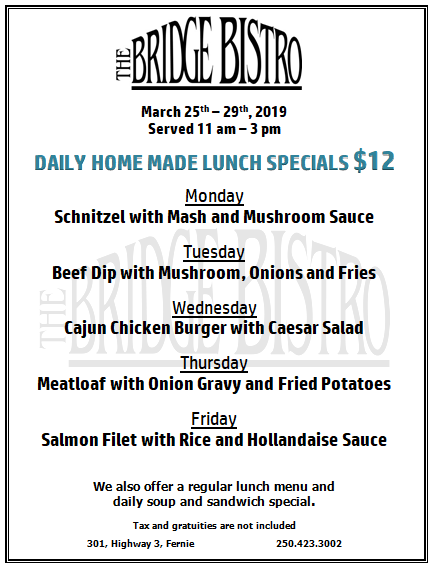 These are our lunch specials for this week. PATIO SEASON HAS KICKED OFF, the patio has been a busy spot this last week. Events coming up in April; Cabana Sucre – April 13 , 9 am – 1 pm, Easter Brunch April 21, 9 am – 1 pm, call to make your reservations 250-423-3002.